I've just spent a great week in one of my favourites cities: New York. 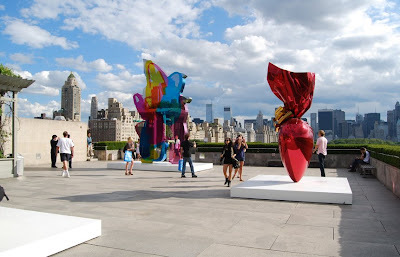 One on the highlights of the trip was spending a late afternoon with a Martini in my hand looking at the Jeff Koons exhibition in the Roof Garden of the Metropolitan Museum. Åååå misunnelig på deg som har vært i New York, ser ut som en fantastisk utstilling. Looks like a great exhibit - I'm in Connecticut so have no excuse not to get down there and see it for myself.